What the world needs now is another meatball variety, right? Meatballs are versatile. I just had to try a barbecue meatball! 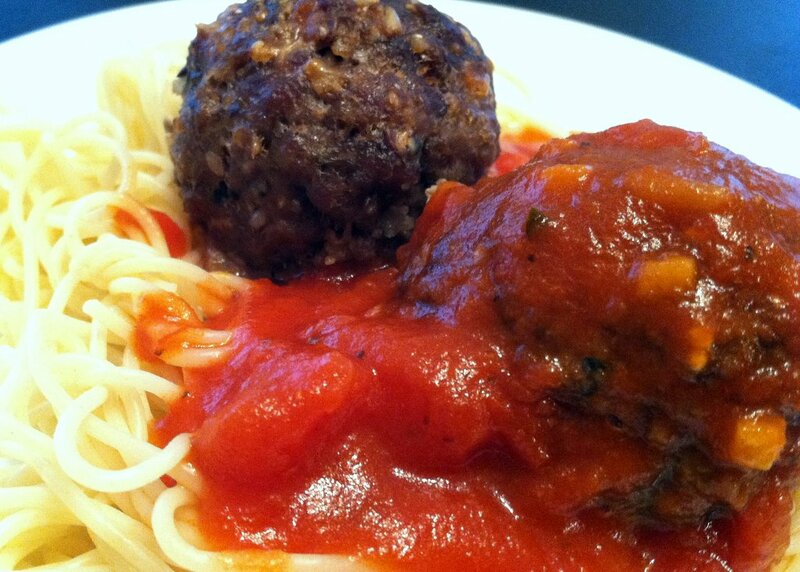 These extraordinary meatballs amid a world of ordinary meatballs will definitely delight! So take a listen to “I’m Glad There is You (In This World of Ordinary People)” sung by the extraordinary Frank Sinatra. Put Parmesan cheese, wild rice, and 12-grain cereal in the food processor and pulse several times to mince. Dump into a large mixing bowl. Pour milk over ingredients. Stir. Cut red pepper into chunks. Put in food processor. Peel sweet potato and onion then cut into small chunks. Put sweet potato and onion chunks, onion, and mushrooms in food processor. Pulse all ingredients together until minced. Add to the mixing bowl. Put pesto and broccoli in food processor. Pulse to mince. Add to the mixing bowl. Add salt, black pepper, and cayenne pepper in mixing bowl. Add ground round and sausage. 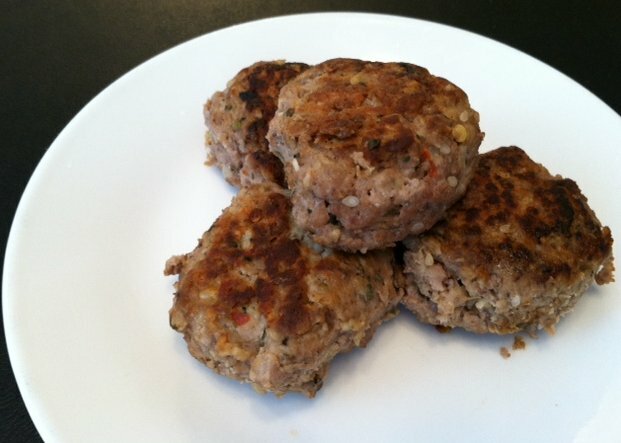 Shape into meatballs 3 inches across and 1 inch high. Place on baking sheet just touching each other. Remove from oven and turn meatballs over. 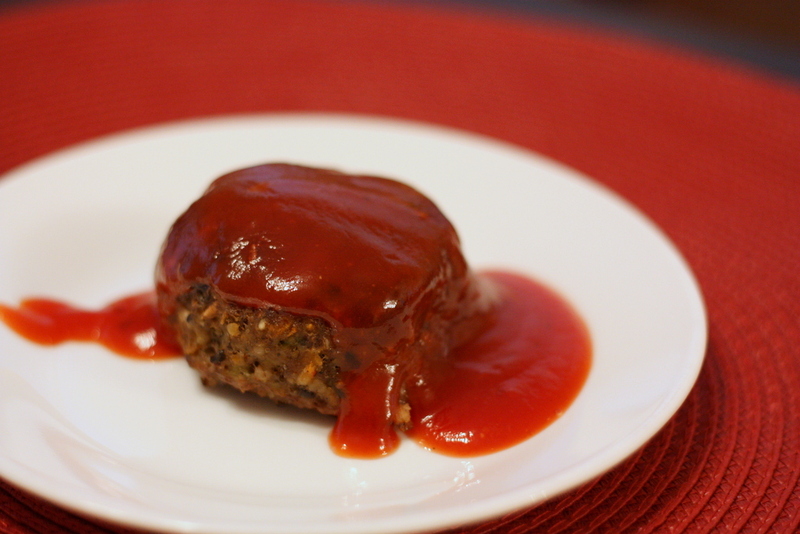 Serve with barbecue sauce spooned over the top of individual meatballs. In a large sauce pan, combine vinegar, ketchup, brown sugar, honey, red pepper flakes, and black pepper. Over medium-low heat, simmer for 5 minutes. Serve by spooning barbecue sauce over individual meatballs.